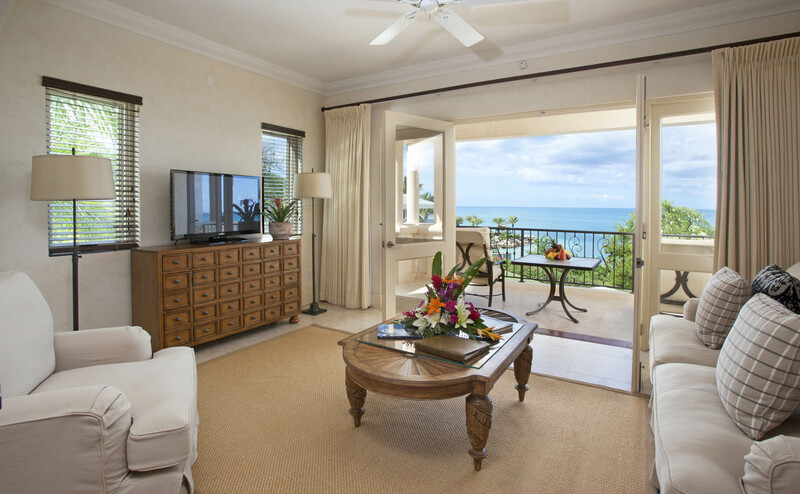 Cove Suites, luxury 5 Star Suites Antigua. 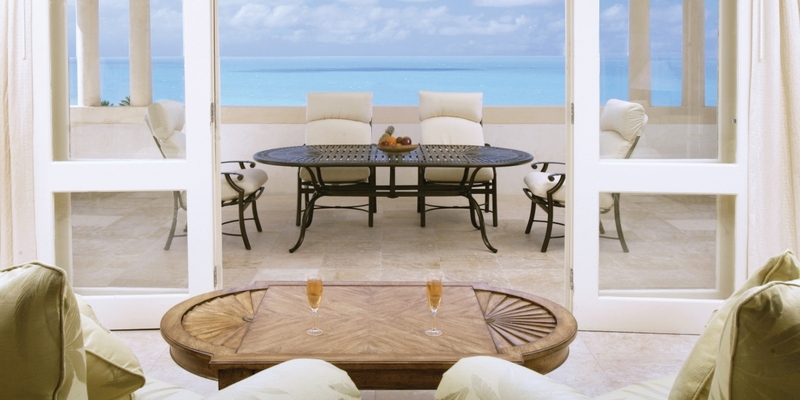 These beautifl 5 star Suites & Penthouses offer Caribbean luxury at its finest. 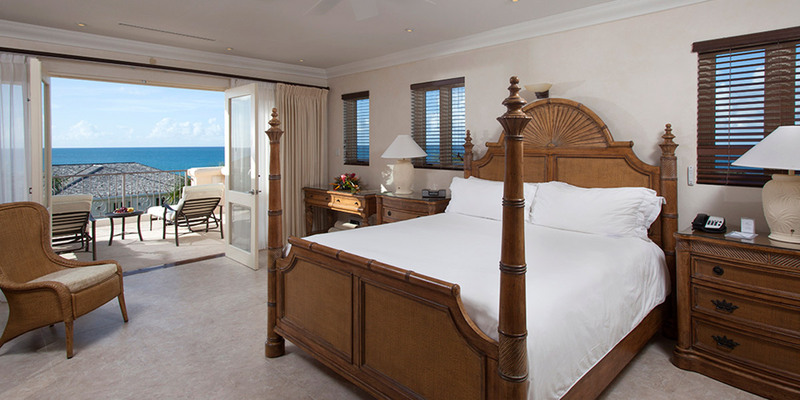 The Cove Suites are the pride and joy of Blue Waters Resort, offering guests unrivalled decadence and uninterrupted views of the Caribbean Sea. Situated away from the main resort, Cove Suites guests will be able to savour seclusion and privacy, whilst also being near the sumptuous Cove Restaurant. 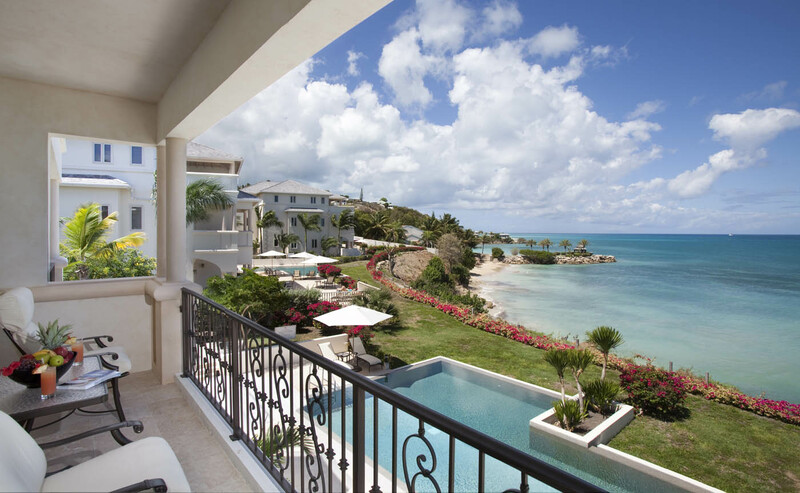 The Cove Suites enjoy a secluded cliff-side location, affording delightful views of the Caribbean Sea and surrounding flora. Set apart from the main resort, the Cove Suites enjoy the upmost privacy. Guests won’t be bothered by intrusions or distractions, and the only background noise will be the ebb and flow of the nearby ocean. 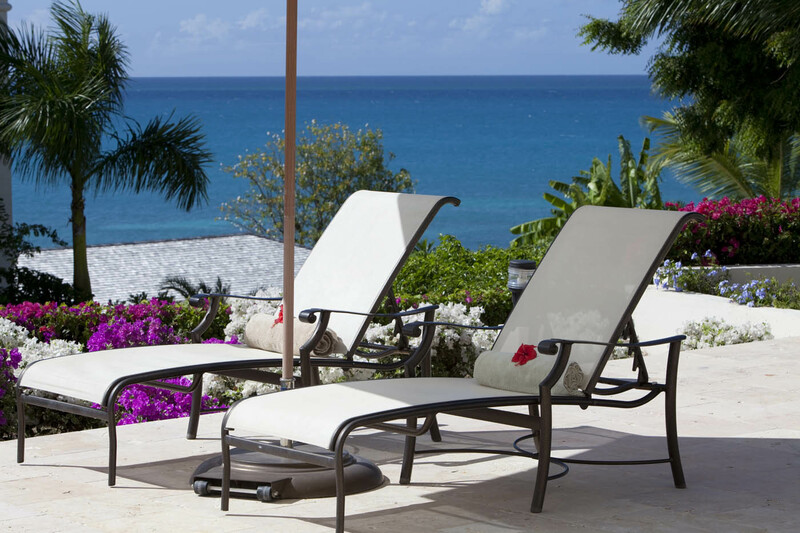 The five star Cove Suites in Antigua are only a short walk away from the beach, meaning you don’t need to wander far to enjoy the ocean’s calm waters. The Cove Restaurant is also in close proximity to the suites – perfect if you don’t want to travel for great food. Combine classic beach living with modern luxury and you will have the beautiful Cove Suites. A well-appointed living area leads onto your spacious bedroom, furnished with an oversized bed and en suite bathroom. 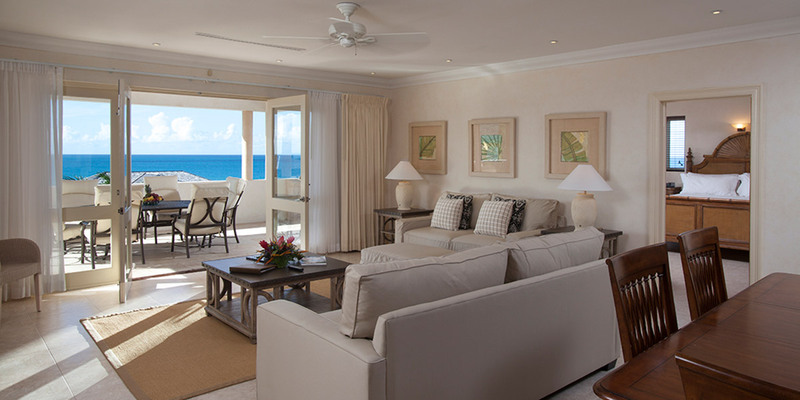 Each Cove Suite enjoys a modern beach décor, bestowing the suites with an authentic and airy environment. Spend your days sauntering down to the beach and reclining on the powder-soft sand as the sun warms your skin or taking a dip in your infinity pool which is for exclusive use for your Cove Suite block whilst looking out to the glittering ocean – the choice is entirely up to you. Measuring over 730sqft in size, each Cove Suite is not lacking in space for you to enjoy. With a separate living area, large bedroom and oversized bathrooms, you’ll be able to take your pick of locations in which to unwind in. 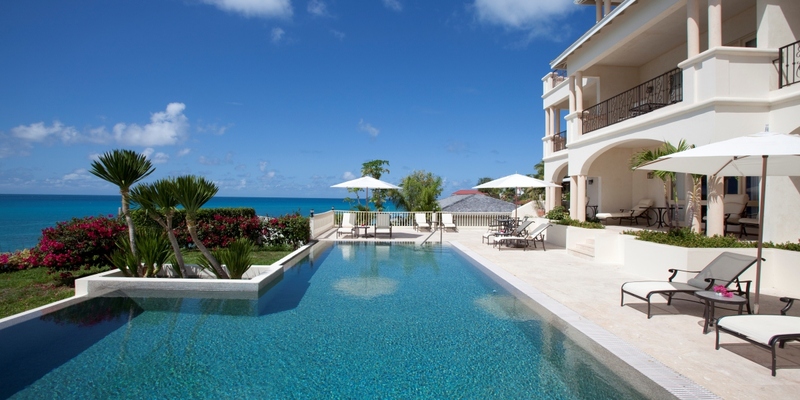 The Cove Suites are ideal for families staying together or as a romantic haven for couples. 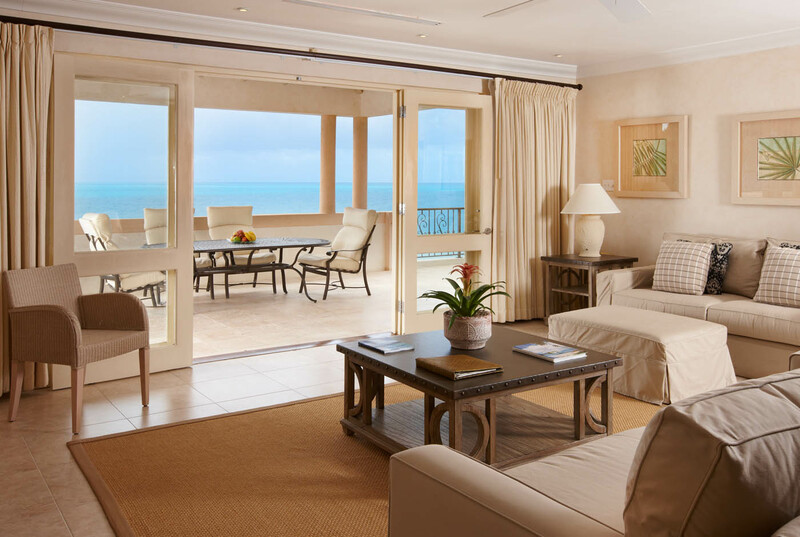 Experience elevated opulence in one of the Cove Penthouses, a shining beacon of luxury Caribbean accommodation. Situated on top of the Cove Suites, the Cove Penthouses tower above the ocean, affording unparalleled views of the turquoise waters. 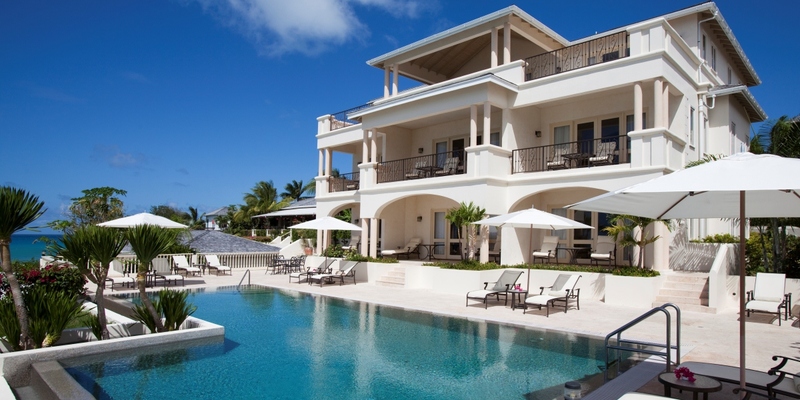 You’ll be able to enjoy 220° degree views of the stunning Caribbean Sea from your expansive private balcony which spans over 500sqft, or from your spacious living area if you’d prefer. Spend lazy days relaxing by the infinity pool overlooking the ocean or take advantage of the private dining option the penthouse offers on your oversized balcony. However you choose to while away the hours, do it with a blissful smile on your face as you take advantage of your penthouse’s brilliance. Spanning over 2690sqft and including a separate living area, dining area, kitchen and 3 bedrooms, families and groups will treasure the abundance of space and luxury the penthouse provides. Bartleys Restaurant is one of the only restaurants in Antigua that offers comfortable, air-conditioned dining in an intimate setting. Situated within the main hotel complex, the elegantly appointed Bartleys Restaurant offers the perfect opportunity for guests to share a romantic dinner, celebrate a special occasion or simply enjoy an evening of delectable entrees, fine wines, and great company. Palm Restaurant: Surrounded by the resort’s lavishly landscaped gardens and overlooking the Caribbean Sea, the Palm Restaurant offers its guests a decidedly Caribbean al fresco dining experience. During the day the Palm Restaurant oozes a relaxed Caribbean café atmosphere, perfect for those who want to get their day off to a brilliant start. Enjoy breakfast on the terrace adjacent to the restaurant as the sun shines down. As night falls the Palm Restaurant takes on a more refined feel, bestowing the restaurant with a sophisticated atmosphere as you dine under a star speckled sky. 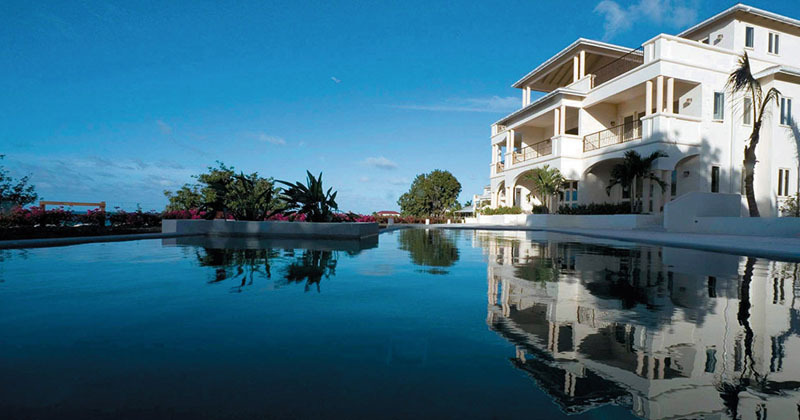 Uniquely situated on a cliff top, the Cove Restaurant combines Caribbean and French cuisine with flair. As guests arrive at the Cove Restaurant, they will be greeted by flaming torches and a dramatic entrance leading onto a candlelit hall. 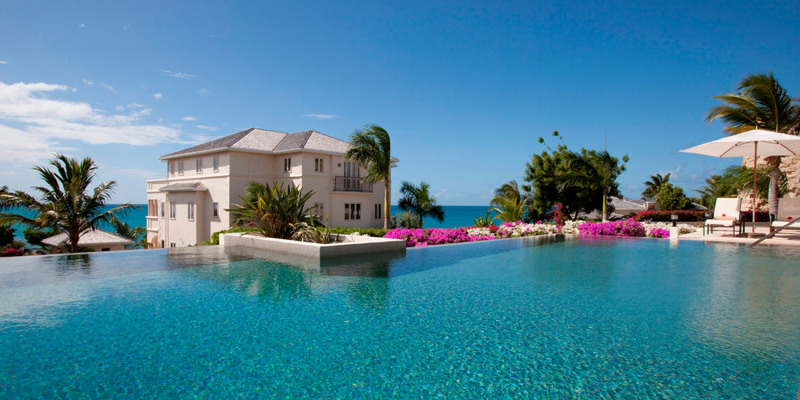 Once inside, it won’t take long for guests to become mesmerised by breath-taking views of the Caribbean Sea. The Cove Suites are laden with premier facilities that make them one of the most luxurious accommodations in the entire Caribbean. If you value seclusion and privacy, you will appreciate the Cove Suites’ intimate location, set apart from the main resort. No crowds, no noise and no having to worry about sharing facilities with anyone apart from your friends and family. With free WiFi available to Cove Suite guests you’ll be able to keep up to date with current affairs or send emails to everyone back home. 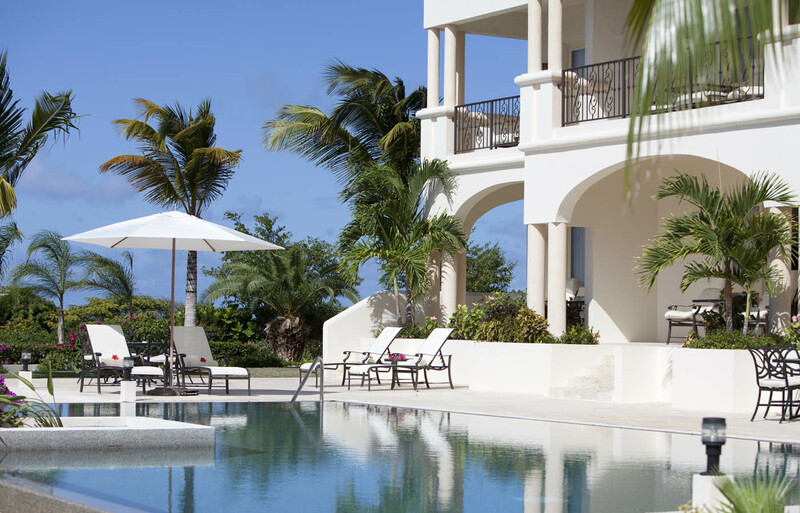 Guests will be able to enjoy their pool which is for the exclusive use of your Cove Suite block, which overlooks uninterrupted views of the Caribbean Sea, without ever having to worry about getting up for a drink, as a dedicated bar service is available. Whether you fancy a refreshing fruit juice or something stronger, someone will be more than happy to fetch it for you, meaning you don’t have to miss a minute of tanning time. Should you ever have to leave your luxurious Cove Suite but don’t fancy the walk, simply phone reception and they will send a golf buggy to come and collect you – relaxing has never been so easy! One of the defining features of the Cove Suites is the new concierge service, which is available from 8am-6pm. No matter what you require, your concierge will be on hand to see your stay is made as wonderful as possible. 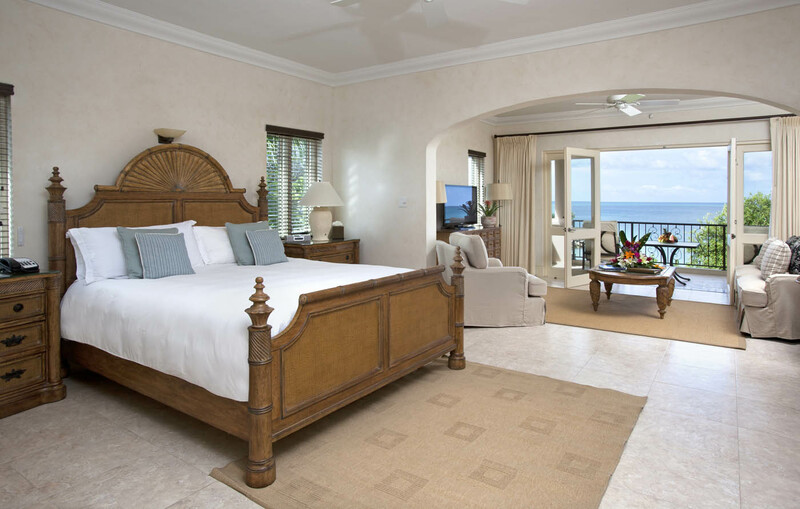 Upon arrival, Cove Suite guests will be issued a mobile phone to place calls to the concierge, food & beverage operations and the management team, so no matter where you are in the resort, you’ll only be one phone call away from added luxury. With all this and more, the Cove Suites are at the pinnacle of Caribbean living and are ready to welcome you home.